New shirts and embroidered logo patches will be made for these US shows. 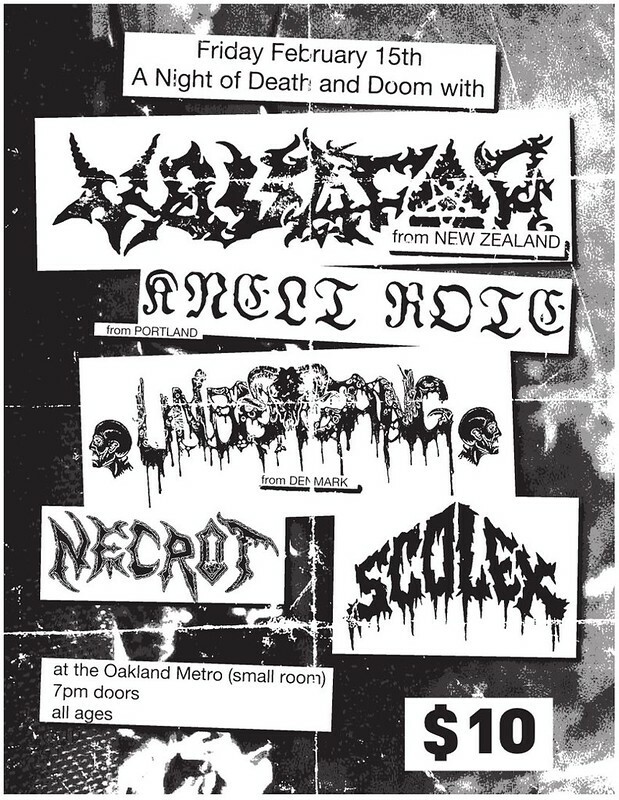 All tour dates will be shared with Oakland deathsters Necrot and Scolex. Check them out, because they rule! You should go see these guys because they shred. I should have a flier for the Oakland show very soon. looking forward to seeing you guys, dave! Will definitely be hitting up the Oakland show! That Oakland lineup is stacked, wish I could attend. First post updated with the actual tour dates. Attendance is mandatory for everyone. At all shows. 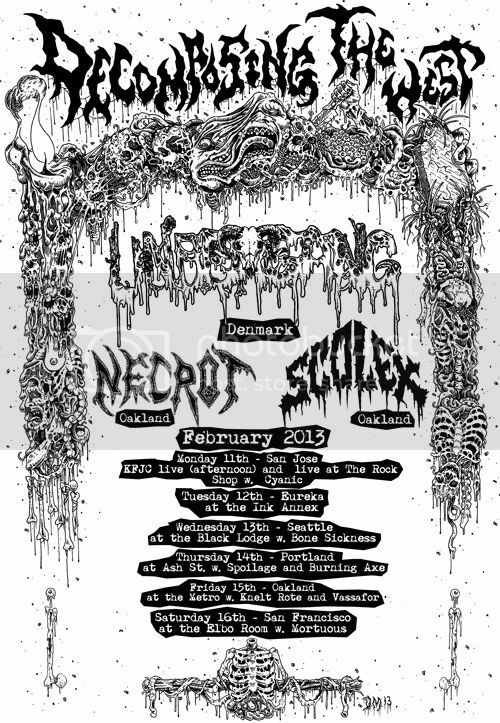 Mortuous will play with us at the Elbo Room! Very cool, I wasn't sure what the situation was with their line-up. Nah, me neither. Apparently it'll be their first show without Al on vocals. I've gotta get out to Portland on time. February has some great shows.